One of our new closet go-tos, our polka dot T-shirt dress is cinched with tie-front detail for an irresistibly feminine twist. Jewel neck. Short sleeves. Self tie belt. Hidden back zipper with hook-and-eye closure. 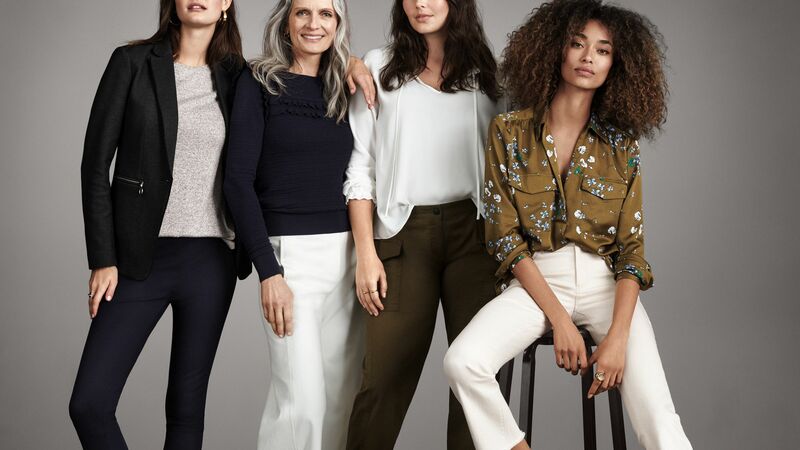 Shop like a celebrity and score your essential fall pieces at Ann Taylor. A feminine bow adds a refined twist to our spot-on polka dot flats. Pointy toe. Padded footbed for complete comfort. 1/2 heel.